Omnipure Polyphosphate Filters In-Line Scale Inhibitors | Applied Membranes Inc.
Used in situations where “hard water” is a problem, polyphosphate is a food grade product that inhibits scaling and controls the corrosion or rusting of pipes and equipment. Scaling and corrosion are the result of lime and iron (in soluble form) reacting with metal in pipes or equipment, forming a solid (scale or rust). Polyphosphate solves this problem by holding these contaminants in suspension, which keeps them from reacting with the metals in pipes or equipment. 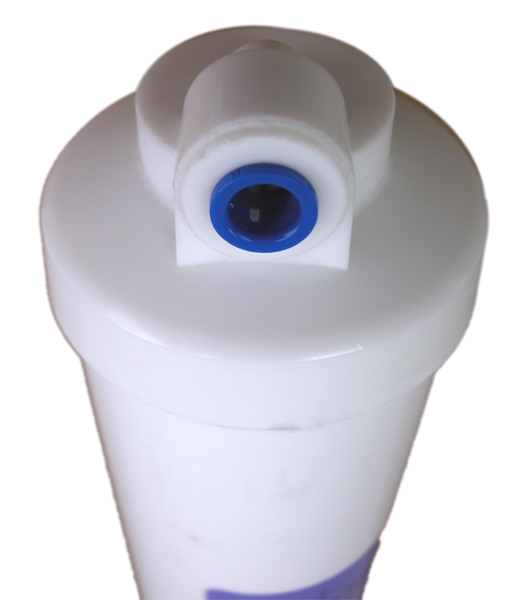 Omnipure Polyphosphate and Polyphosphate + GAC filters are ideal for the protection of equipment such as ice makers, beverage equipment, and pumps. 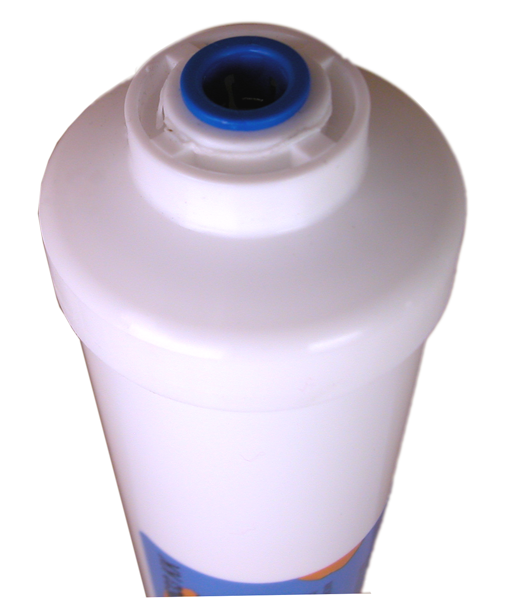 Polyphosphate is an excellent choice for potable water because it is tasteless and odorless. These polyphosphate filters are offered in Omnipure’s classic “standard” style CL Series filter body female threaded end connections for direct in-line installation, eliminating the need for an additional housing. 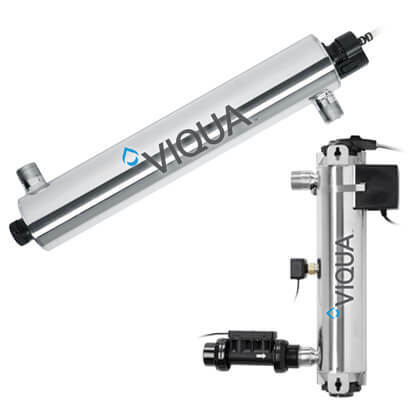 They are also offered in Ominpure’s K Series Filter bodies featuring quick connect fittings molded directly onto the filter body. 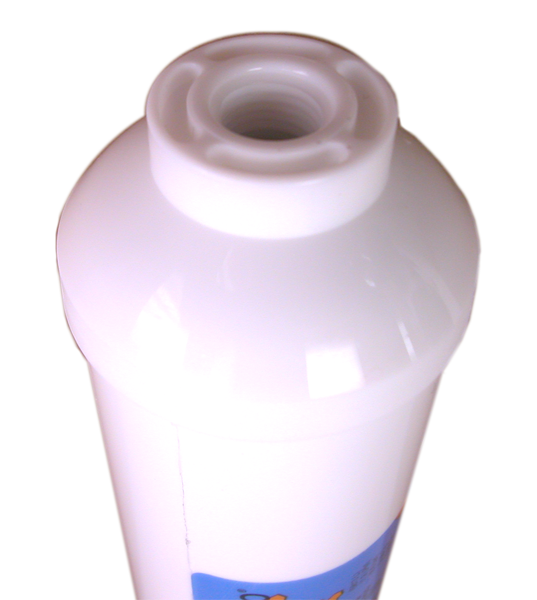 Omnipure Polyphosphate filters are offered with and without GAC. 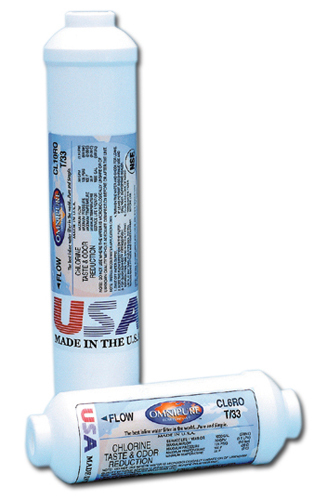 Protects downstream equipment from scaling and corrosion.